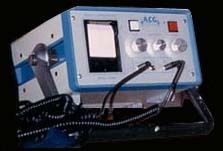 It is important to emphasize that the ACG reflects the efficiency of cardiac function. The doctor is now allowed to evaluate the practice member, focusing not on the degree of existing damage (i.e., with the EKG with completely different intent and purpose), but on prevention and supporting the patient or client to achieve optimum health and well being. The Ways of Better Shortcuts sees personal value for each of us such a safe and non-invasive tool for establishing YOUR baseline to extending your Longevity. It is vital to seize every tool, every resource available to increase not only the quantity, as well the quantity of the days and years of your life. Once you embrace your own sense of the Healthiest Website Book, you win more. Make it your business to observe, and to imitate, the humans who are doing best at what YOU strive for. The Ways of Better Shortcuts is a huge part of the largest creation of all time. Throughout the Ways of Better Shortcuts you can find information on so many naturopathically-related subjects, not least of which are arenas pertaining to energetic medicine, also called bio-energetic science. The Ways of Better Shortcuts clearly advocates homeopathic and naturopathic medicines and remedies.